It's been great. Swift service at a great price, I'll be back as required. This is the World best Battery, Tayna Batteries are the Best, Dan is a Nice Gentlemen to Speak to on the Phone. Service from Tayna is Excellent, Delivery very Quick, Excellent. I will be Definitely buying from Tayna Batteries again, and Definitely Recommend Tayna Batteries to People. Tayna Batteries is Impeccable. Not sure that both batteies are holding same amount of charge considering that batteries in the past have given me trouble free use these seem not to hold there charge very well, I am waiting for them to be checked to make sure they are charging and hold charge equally. The order for the battery was dealt with very quickly and efficiently. It was packed very securely and arrived in perfect condition. Very good service. Thank you. Fitted To: Pride Freeway Sigma. Batteries arrived fully charged and ready to go. The batteries have just been fitted so I can`t judge the longevity, but the service I recieved from Tayna was second to none ! I was very happy with the service provided, the goods arrived in perfect condition and the pricing was very competitive. I would have no hesitation in recommending Tayna to others based on my experience. 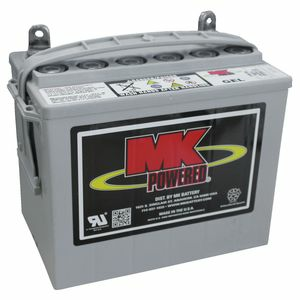 EXCELLENT SERVICE, VERY COMPETITIVE PRICE FOR THE BATTERIES, FIRST RATE ALL ROUND.